The BJ400 'Rathbone' is named after London street Rathbone Place. It was here at the start of the 1900s that Albert Mullins and Samuel Bowley Barnes began producing some of the finest banjos ever known. The BJ400 offers players both quality and visual impact - the black Remo banjo head ensures that heads will be turned. 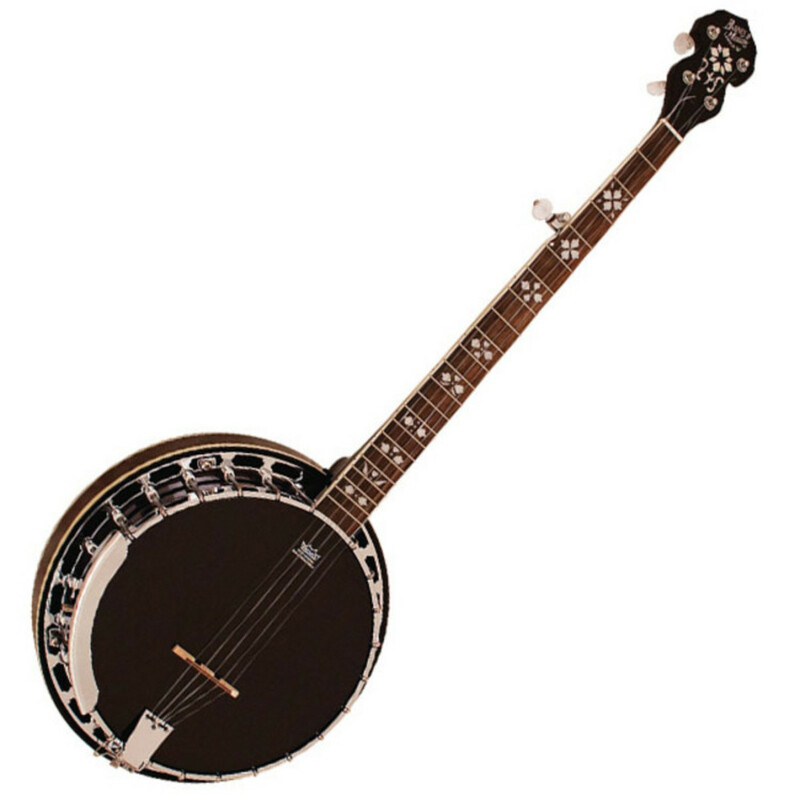 The Barnes & Mullins BJ400 'Rathbone' 5 string banjo combines outstanding quality with a unique and striking appearance. 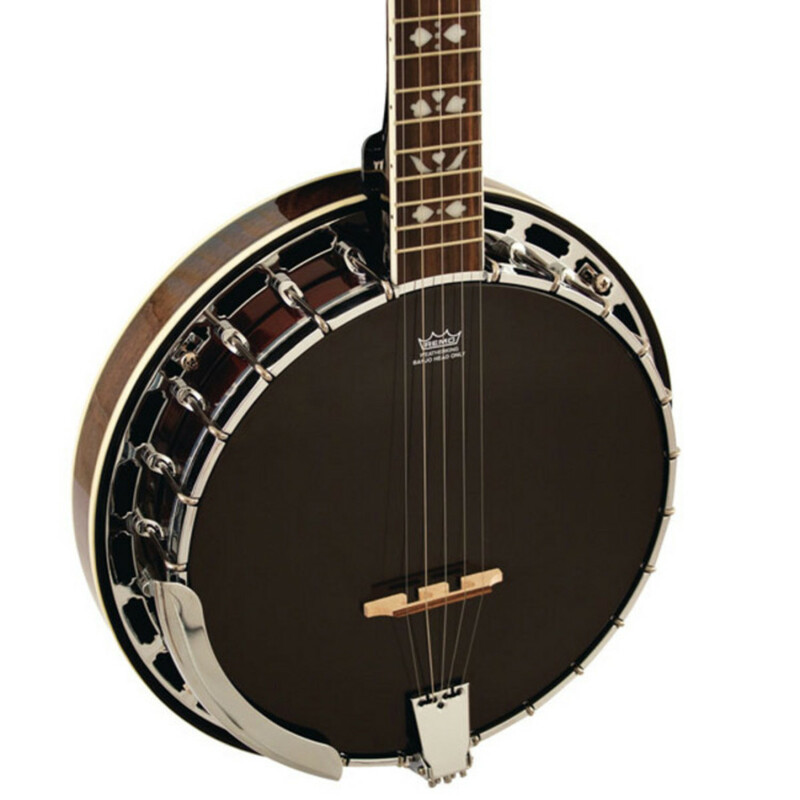 A low action and quick neck make this banjo a joy to play. 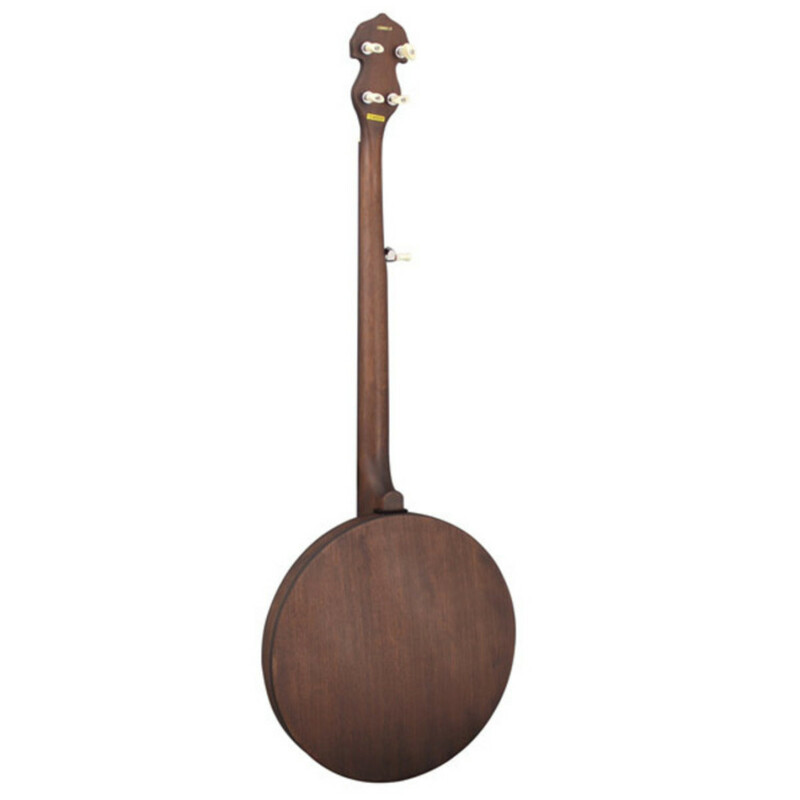 It features a closed back mahogany resonator to deliver an authentic, punchy bluegrass tone with a genuine Remo black banjo head. Geared machine heads ensure improved tuning stability. The BJ400 also features a rolled brass tone ring to improve the volume and projection of the instrument.